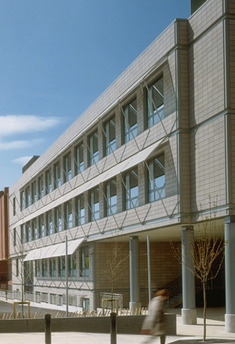 An extension to the Kimberlin Library at DeMontfort University, Leicester and the first to employ the TermoDeck system. 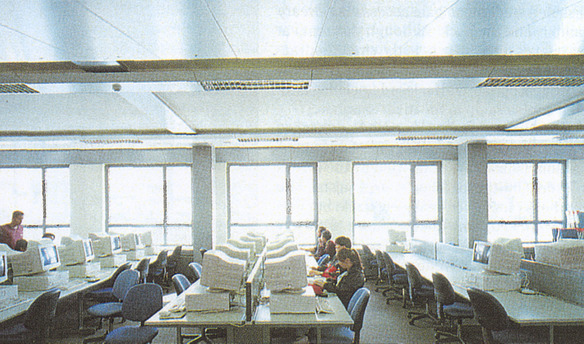 Due to increasing student numbers and the changing face of information technology, the university recognised the need to extend the existing library which was originally built in 1976. 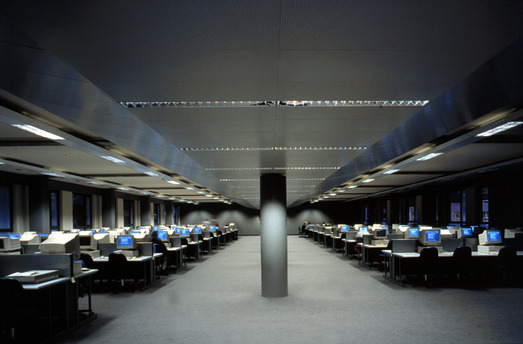 The Kimberlin Library is the main facility on the Leicester campus for study and computer use; it has over 1,300 study places. It is designed to provide cooling for a population density 2.5 times that of a normal office building. While the university has commissioned a number of landmark low-energy buildings, this is the first TermoDeck building: Air is passed through the cores of pre-cast concrete floor planks before entering the room to maximise the use of the buildings thermal mass. The building stays cool thanks to a combination of this mass and some adiabatic cooling. In cooler months, the building heats itself entirely by recycling heat from the building’s users and computers.